When we want to see Waheguru (God), we need to look both, at the created world and into our own heart and soul. The aim is to see the divine order that Waheguru has given to everything, and through it to understand the nature of Waheguru. We human beings can not see the true reality of Waheguru (God,) because we are blinded by our own self-centred pride and concern for physical things. But Waheguru is inside of us! Waheguru is inside every person, within all creatures and living things, all around us, we are seeing, breathing and hearing Waheguru right now, all the time! Everyone is capable of change, to see and feel Waheguru! Just as fragrance is in the flower, and reflection is in the mirror, in exactly the same way, Waheguru is within us. The problem is that most of us misunderstand the universe. 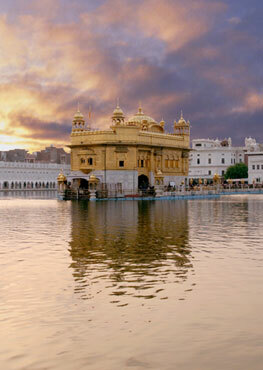 We think that it exists on its own, when it really is Waheguru itself, and is a portrait of Waheguru’s own nature! Waheguru can not be understood properly by human beings, but he can be experienced through love, devotion, and compassion! 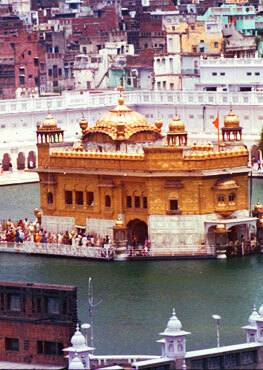 We should look for Waheguru, both, inside ourselves as well as in the world around us.